Welcome to the Party The first few months of the year are always a busy time for the party industry. The first month is taken up with recovering from Christmas and New Year, before moving swiftly into what is commonly known as Trade Show Season. Whether you went to all three party trade shows or kept up with all the gossip from the comfort of your own front room, there’s no doubt that there was a lot going on and enough new product to keep everyone happy. Since then, Above: Progressive Party Europe’s of course, we’ve also celebrated Valentine’s Day, World Rob Willis and Jacqui Parr. Book Day, St. Patrick’s Day and Mother’s Day – and we’re already looking forward to eating far too much chocolate at Easter. Our party trade show tour began with a visit to New Orleans for the Halloween & Party Expo. While always well worth the plane ticket, this year’s benefited from an extra boost, both in terms of the numbers of buyers in attendance and the feeling on the show floor. It’s difficult to make any large show really gel together, but Urban Expositions (part of Clarion) managed to go above and beyond, resulting in a show which felt like an industry party masquerading as an exhibition. Reflecting the attitude of the industry at large, the catwalk and competitions were well-attended and people were there with the same agenda; to make the most of their time at the show and walk away with some amazing new products. And you can’t ask for much more than that! Back in Europe, the European trade show circuit started with a bang (and a beer) at Spielwarenmesse (Nuremberg Toy Fair for those who don’t speak German). A hotspot for a wide range of party product, the busy, lively show never fails to live up to expectations. This year saw the debut of an extended party section which allowed exhibitors to showcase their latest lines via fashion shows and product demonstrations and added another element of theatre to the show. It was a great success, allowing the packed party hall to breathe and elevating the levels of colour and noise the buyers could engage with. From an exhibitor’s point of view it was once again an very international-led event, offering a good opportunity to strengthen distributor networks while also connecting with retailers. Moving onto Spring Fair, there is no getting away from the fact that there were fewer exhibitors in hall 5 this year, but those who had chosen to attend were pleased with the business they had done, with a healthy mix of serious buyers and casual browsers keeping everyone busy during the five-day show. Once the shows were over, the party industry was able to get on with the serious business of Valentine’s Day, St. Patrick’s Day and the mammoth dress-up occasion that is World Book Day. Once again, the annual literary celebration saw parents, children and teachers taking to their closest party shop (or nearest supermarket, or the first stop on their online shopping list) to make sure they were suitably dressed as Horrid Henry or Matilda or Billionaire Boy. While all this has been going on, there has also been a great deal of discussion in the news about sustainability, eco-friendly products and reducing single-use plastic wherever possible. The issue itself has been the subject of much discussion and some heated opinions and there’s too much for us to cover here – but check out our industry issue on page 30, and do get in touch to let us know what you think. It’s an important issue and one that could ultimately affect most of us in one way or another, so it’s essential we as an industry keep talking. If that is all a bit serious for you, we’ve also included features on balloon décor trends, festival dress-up and of course all our usual new product information and news. Until next time, please do get in touch with any news, views or anything else you’d like us to look at in the future. We’re always looking for new things to get stuck into! What’s inside: MARCH/APRIL 2019 UGlu® The Strength of Adhesive, The Convenience of Tape! Instant Grip, Powerful Bond, No Mess Ever! A unique and innovative form of adhesive that is both waterproof and weatherproof. This adhesive is in a convenient tape-like format and bonds to most any surface, including rough or uneven surfaces. Non-toxic and acid free. “We know our retail buyers trust and rely on Progressive Party Europe for their news, product information and seasonal focuses the launch of an online service reaching their inboxes will help retailers even more, which is something all suppliers can support.” Tracey Devine, head of marketing and licensing EMEA, Rubie’s Masquerade. Famous for its great energy, artistic vibe and friendly atmosphere, PG Live 2019 is your chance to explore new designs and exclusive show offers from more than 230 publishers, artists and designers. EBPC releases balloon best practice programme The European Balloon and Party Council has officially released its balloon best practise programme, with a range of marketing material being made available for members to use. The updated materials include a series of posters and leaflets with the aim of raising consumer awareness and educating the general public on the best way to handle balloons responsibly and positively improve the image of the industry as a whole. “We are proud to announce the re-launch of our ‘Balloons’ best practice programme to deliver clear guidance to consumers,” commented EBPC’s director general Suteesh Chumber. “The objective of the ‘Balloons’ programme is to continue to raise a positive profile for the industry and start on a campaign of industry sustainability.” He continued; “With our experience regarding legislation during the past year, there has never been a more important time to bring the industry together in a responsible and sustainable way to ensure prosperity within our sector.” The information is available in all EU languages. German town latest to take on Smurf World Record Lauchringen in Southern Germany is the latest town to break the official world record for the number of people dressed as Smurfs in one place, with 2,762 people joining in. The record was previously set in 2009 at a club night in Swansea, UK. Organised by online fancy dress retailer Jokers’ Masquerade, that event had held the title for the last ten years, with 2,510 Smurfs. Right: Feeling blue: 2,762 Smurfs get together. Above: The addition of Fun Shack’s range will allow Morph Costumes to accelerate its current growth. streamlined some of Fun Shack’s previous distribution channels and is continuing to work with retailers who are incremental to its existing sales channels. “We’re also really keen to continue to support the high street,'” added Gregor. Rubie’s Masquerade unveiled its permanent showroom at this year's Nuremberg Toy Fair, offering a year-round opportunity to showcase product to buyers. The new space, which will be permanently situated at Spielwarenmesse, was a key talking point of the 2019 event. “This new showroom offers a real snapshot into the current and future product line-up for Rubie’s,” said Holly Oldham, UK managing director for Rubie’s. “We have designed this great space with retail solutions in mind; using layouts and ranging to offer buyers inspiration and support, not just great product at the forefront of licensing and entertainment.” The permanent showrooms at Spielwarenmesse will mean that buyers and other contacts can visit at any time throughout the year, not just during the show. Holly continued: “The showroom is a year-round opportunity for us to welcome buyers and show them the future of Rubie’s, it’s a seriously exciting time ahead. We welcome all contacts to get in touch should they wish to organise a visit.” Below: The modern, entertaining and product-led space was a highlight of Nuremberg Toy Fair 2019. 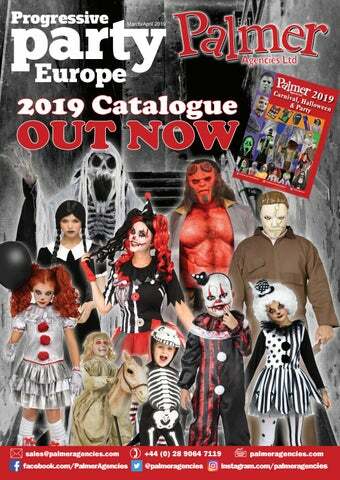 Rasta Imposta reveals new licences for 2019 Rasta Imposta Costumes has unveiled its list of new licensees for 2019, which includes a wide range of top food and toy brands. New partners for costumes and dress-up accessories include Mattel for a range of Barbie and Ken costumes and a number of Hershey's brands including Hershey’s Kisses and Reese’s Peanut Butter Cups. meet everyone and provide them with our excellent prices, service and products.” The roadshow starts in Dunblane for two days, Sunday 12 May or Monday 13 May at the Hydro Hotel. Find out more by contacting sales@bristolnovelty. com or +44 (0) 117 972 4012. Above: The first roadshow stop will be in Dunblane for two days, Sunday 12 May and Monday 13 May at the Hydro Hotel. Fancy dress and party manufacturer Smiffys has signed an exclusive agreement with Moon Creations, which will see the costume expert distributing the full range of festival and party cosmetics. Smiffys will distribute the full range of Moon Creations festival and party cosmetics, with immediate effect, to its UK, Irish and Australian party and fancydress customers, on an exclusive basis. The agreement also extends to global distribution (excluding Netherlands, USA and Canada) and will enable the company to distribute the full range throughout Europe, on a non-exclusive basis. “We are delighted to partner with Moon Creations and offer our customers the full range of UV, metallics, glitter ranges, along with the face and body paints,” said Dominique Peckett, director at Smiffys. Hertfordshire-based Moon Creations was founded in 2012 and offers a collection of brands which cover all the key market trends, such as Moon Glitter, Moon Glow, Cosmic Moon and Moon Terror, as well as the classic Moon Creations face paint range. Above: It is unclear just how much Party Pieces is worth, with some consumer news outlets claiming figures as high as £30 million. into its original premises at the end of January, six months after the flood initially took place. “We’re just pleased to be up and running again, it was a very stressful six months but we have made it through,” said owner Gail Brocklebank. All change for Spring Fair 2020 Leading gift and lifestyle tradeshow Spring Fair has revealed a new layout for the 2020 edition of the show while also announcing the appointment of new portfolio director, Charlie Cracknell. The new layout will see the show being reorganised the show into two overarching sections, Home & Living and Gifts, in the hope that it will improve the general flow and provide buyers with more crossover opportunities. The Party Show will remain in Hall 5, as part of the toy sector. With over 20 years of international event experience, Charlie will be helping to shape the strategic direction of the show as it looks forward towards 2020. “It’s fantastic to be involved,” said Charlie, “I’m already planning a concierge matchmaking programme for the show, aimed at finding and matching buyers with ideal exhibitors.” Spring Fair is a key event for many in the party and balloon trade, with high-profile party exhibitors including Rubie’s, Pioneer Europe, Amscan and Palmer Agencies, among others. Right: Charlie Cracknell is the new portfolio director for Spring Fair. Palmer Agencies opens Belfast showroom for business Fancy dress and Halloween expert Palmer Agencies has opened its Belfast trade showroom for business. The new layout changes each year to incorporate the latest additions, including licensed products from Game of Thrones, IT, SAW, The Walking Dead and Gremlins. “Come to see us, the superb products on display, our showroom and warehouse, and experience our secondto-none customer service,” said Sergio Battaner, sales and marketing director. “We are always very grateful when customers and friends decide to come over as we love to extend our fine Irish hospitality.” Contact Sergio directly on +44 (0) 2890 647119 to find out more. Below: The Palmer Agencies showroom changes layout each year. Comic Relief under fire for using balloons High-profile charity Comic Relief came under fire for sending out balloons and other single-use plastic as part of its fundraising pack, with national press and television coverage highlighting the activists who have been challenging the organisation on social media. Conservation group Blue Planet Society said that by including balloons in the fundraising pack Comic Relief was showing ‘an embarrassing lack of environmental awareness’, pointing out that it believes balloons to be even more of an environmental threat than plastic straws. A spokesperson for Comic Relief said: “We advise all our fundraisers to use and dispose of the balloons responsibly and adopt the ‘Don’t Let Go’ policy.” Right: The balloons were included in the Comic Relief fundraising pack. Kimbolton Fireworks has ceased trading Family-run company Kimbolton fireworks – the company behind the firework displays for the opening and closing ceremonies at the London 2012 Olympics and Paralympic Games – has ceased trading. Kimbolton was the only UK manufacturer of display fireworks and has been based in Cambridgeshire since 1964. It provided displays for events including the handover of Hong Kong, London’s New Year’s Eve celebrations, Trafalgar 200 and the 50th anniversary of VJ Day in London. Aldi scraps glitter across Halloween range The UK’s fastest growing supermarket Aldi has announced that it will be scrapping plastic glitter from its Halloween range, Christmas cards and wrapping paper for this year. The move is part of the supermarket’s pledge to remove all non-biodegradable glitter from all products by the end of 2020. “We want to be sure our customers can enjoy key events without compromising on sustainability,” said Fritz Walleczek, managing director of corporate responsibility at Aldi UK and Ireland. “[This] is why we’ve promised to remove all non-biodegradable glitter from all of our products by 2020.” The move towards more environmentally responsible manufacturing is gaining ground across much of the retail sector, including party. commitment to clean seas, free of plastics and other nonbiodegradable materials which cause so much harm to wildlife.” For 25 years, Gibraltar was one of the main culprits for balloon releases, as 30,000 red and white helium balloons were released each September on Gibraltar’s National Day. This traditional practice ended in 2017, but the government has now extended that ban to include all releases throughout the territory. “We owe it to the environment, especially the oceans and their rich and threatened wildlife,” said John Cortes, Gibraltar’s minister responsible for the environment, on Twitter. He added, “Small nations have equal duty.” Above: The balloon ban was introduced following years of campaigning by the Gibraltar Ornithological and Natural History Society and other local wildlife organisations. Party City reveals figures for Q4 2018 North American party and costume retailer Party City has revealed that retail sales came in slightly below the predicted growth forecasts for Q4 2018, rising by just 4.3% to $411.35million. The growth – which also saw total revenues increase by 2.5% – was driven primarily by franchise and independent store acquisitions as well as Halloween City sales, which had increased by approximately 14% year-on-year. “Our topline results for the fourth quarter were slightly below expectations, in large part due to helium supply pressures that persisted from the third quarter,” said ceo James M. Harrison. FANCY DRESS WIGS THAT WON’T COST THE EARTH! to bring glitter onto their sites, while WEAREFSTVL specifically state that all traders using glitter must use a biodegradable version. Palmer Agencies has reinforced its sales team by appointing Ken Dearden as the company’s new North East and North West agent, covering the north of England and North Wales. Ken brings with him over two decades of experience in successfully representing leading companies, where he has developed a resounding and proficient knowledge of market and industry requirements. Below: Ken Dearden is the North East and North West agent for Palmer Agencies. Above: Although the UK government banned the use of microbeads in toiletries and cosmetics, glitter has remained legal. Dunstable branch of Budget Greeting Cards to move premises The Dunstable branch of greeting card and partyware wholesaler Budget Greeting Cards will be moving premises in the next few months as the company also makes moves to refresh its website and open a new branch in the Midlands. Manager of the Dunstable branch, Laimonas Navickas, was quick to reassure anxious party customers who had heard rumours that the southern location would be closing entirely. “We are moving out of the building to new premises, which we have now secured,” he said. “There have been rumours, but we will definitely not be closing and can reassure all customers that there will be no gaps in our service.” Laimonas continued; “The new premises will be just half a mile from our current location and although smaller, we will continue to offer a similar amount of stock and will be continuing to offer the same huge range of quality cards and partyware that we always have. Our customer accounts will not be affected in the slightest.” Laimonas also revealed that other changes will be taking place at BGC over the next six months, with a new branch set to open in the Midlands and a complete website overhaul. H&P Expo reports 42% increase in show appointments Feedback from buyers and exhibitors following January's Halloween & Party Expo in New Orleans pointed towards an increase in buying activity right across the show, as a direct result of the 42% rise in scheduled face-to-face meetings conducted on the show floor. More than 3,500 industry professionals came together to source new products and see new trends, with more than 300 companies showcasing their latest lines. “It was important for us to showcase the products that retailers told us were most important for them to find on the 2019 show floor,” commented Halloween & Party Expo senior vice president Mike Carlucci. “We know that making new connections drives business for both attendees and exhibitors and we are happy to provide a forum and concierge programs to assist in furthering the connections of our customers. We look forward to continued growth for 2020.” Halloween & Party Expo and HAuNTcon will be returning to New Orleans next year, from 17 – 19 January 2020. More information can be found at www.halloweenpartyexpo.com. Below: The Artists Battleground entries at the H&P Expo 2019. Mike O’Connell, Rubie’s global head of anti-piracy “It shockingly highlights the dangers surrounding counterfeit costumes. Rubie’s antipiracy team continue to work tirelessly to defend our industry from such criminal activity.” Left: The counterfeit costumes had a number of dangerous elements including exposed wires. PG Live prepares for the biggest buzz yet director. “The bar has been raised following last year’s incredible show and we know our exhibitors will rise to the occasion.” The focused, compact show has attracted a number of leading names, such as UKG, Hallmark, Gemma International, Woodmansterne and Danilo, who will all be presenting fresh product and inspiring portfolios for all occasions. PG Live also offers fabulous free refreshments, a complimentary lunch (sponsored by Louise Tiler and Tache who have teamed up to celebrate their fifth anniversaries) and a free drinks party after the show on Tuesday. Sky lanterns and balloon releases banned in Milton Keynes Sky lanterns and balloon releases have been banned from councilowned land in UK town Milton Keynes, following strong support for the proposal from the general public. “We had 80 responses and 72 were in favour of a ban,” said council cabinet member Martin Gowans at a delegated decisions meeting. Milton Keynes council now joins The Parks Trust and more than 50 other councils across the UK in banning the release of balloons and sky lanterns on its own land. The ban will include both releases at large charity fundraising events and those held to commemorate a person’s life. The Licensing Awards 2019 open for entries Previous winners have included Smiffys’ Roald Dahl collection for F&F at Tesco, Disney Princess Dress-up for Sainsbury’s from Rubie’s, Mr Men and Little Miss Dress-Up from VMC Accessories. The Spiderman Airwalker from Amscan International also took home The Innovation Award in 2013. All entries are totally free of charge and product entries must be submitted by Friday 31 May, 2019. The Licensing Awards 2019 are now officially open for entry and party suppliers are encouraged to send product in as the countdown for the big event on September 10 officially begins. Suppliers looking to enter the Best Licensed Dress-Up or Partyware Range (which this year is sponsored by Beano Studios) can download an entry form online at www.thelicensingawards.co.uk. A host of attention-grabbing highlights, competitions and special deals will also be on offer. Visit www.progressivegreetingslive. com to book your free ticket and receive your copy of the free Show Preview. Below: PG Live 2019 is the perfect show for anyone looking for new card collections. Amscan welcomes new member to licensing team Leading party, balloon and dress-up manufacturer and supplier Amscan International has recently welcomed back Allison Moore as licensing manager EMEA. Alli previously worked at Amscan within marketing and product management roles, where she was responsible for managing the product lifecycle for party and balloon ranges across both everyday and seasonal categories. In her new role Alli will support Mel Beer, licensing director EMEA, to develop and manage the licensed portfolio of partyware, balloons and costumes, becoming the first point for contact for licensors. The latest in PPE’s series of guest columnists, Jonathan Grassi is the overseas manager for balloon company, Grabo International. An Italian company which specialises in foil balloons of all shapes and sizes, Grabo International has seen its business undergo a number of changes over the last few years. The company puts this growth down to its unique philosophy: happiness. Jonathan explains why this simple concept is so important to the balloon business. imagine it – and even more! And to achieve that it is simply a matter of details. Small, hidden superb details. We need to make sure we support and embrace the new ideas and trends that are coming through all the time, from decorators, suppliers and artists all over the globe. We need to implement the whole idea that a balloon isn’t just a balloon, and remember to push the added value which is given by the artists when they create wonderful designs and sculptures with the product. ABOVE: Balloons are used to great effect in the musical Dreamer. RIGHT: Overseas manager Jonathan Grassi seen here with account manager Giada Grassi. Grabo International has been making highquality balloons for the last 38 years. Already well-known across much of mainland Europe, the family company has recently been making strides into the UK market after becoming the main distributor for Betallic balloons in 2017, adding the popular lines into its already packed portfolio. wonderful business, which will only thrive with the love and passion of every single stakeholder. That’s you. And me. That’s all of us. We might be part of a very small and select group within the world, but really, we are one big family and we should give great respect to that. Just like in Peter Pan, where a fairy dies every time someone says they don’t exist, in the balloon and party world a part of our happiness and passion dies whenever we do not give the right service. We owe it to ourselves, to our business and to the business of everyone in the industry to ensure that we remain dedicated to the final result – which is always so much more than ‘just’ a balloon. Let’s keep it beautiful, let’s keep it special. Let’s keep the balloon love alive. STUART WHEELER, account manager, Delights Direct “It is so important to meet new customers at the shows and after a few years at Nuremberg, you wonder if the opportunity to see new businesses will diminish. I’m delighted to say however, that we made contact with as many first time enquiries as before.” ANDY CRITCHLOW, international sales director, Carnival Toys “We attended both the Nuremberg Toy Fair (as we have done for over 25 years) and enjoyed our second year at Spring Fair. Comparing the two, we would have to say the more successful event for us was Nuremberg, where we saw many of our existing larger German and international customers, as well as some new faces. This was almost certainly helped by our larger stand and better position, which allowed us to preview most of our 400 or so novelties for the forthcoming season. We found attendance and visits to our stand at Spring Fair to be below expectatons, with the first day or so being actually very busy followed by a lull, then a better than expected finish. Most enquiries were from the independent trade. We will definitely return to Nuremberg next year, although we need to think about Spring Fair 2020.” Above: Carnival Toys showcased many of its new lines. allowed us to physically showcase all the new items we’ve been promoting in catalogues and on the website, from last year. For me personally it was a pleasure to meet industry colleagues and our fantastic customers and of course to enjoy the entertaining performances from the talented dancers who brought our costumes to life on the Party Stage at NEC each day – I was tempted to join them but managed to resist this year!” Above: Incredible life size statues from Star Wars, Marvel and DC were on display at Bristol Novelty’s stand. NIKKI THOMPSON, sales and marketing manager, CTI Balloons “The show overall was a great success for us. It was very positive and it was definitely a good decision to attend this year. It is great to be able to see customers new and old and to catch up in a relaxed atmosphere. The star of the show for us was our new 31” bunny head balloon, it was so popular. And it is great to see all the amazing designs that people have created, they definitely bring our bunny to life! We will definitely be looking to come back next year as, for us, the Spring Fair is a perfect way to showcase our products. Catalogues will always be an important tool in this industry but there is no doubt that this is the best way to showcase our range and company.” Right: CTI Balloons’ bunny head was the star of the show. MARK BRETT, UK agent, Boland Party “For Boland both Nuremberg and the NEC were very good. Everyone loved the stands, that included other exhibitors, cleaners and everyone who just happened to pass ! Why Western? we were asked – why not? was the answer. Oh and the casket of gold coins helped – I can’t tell you the number of people who wanted to take selfies with their hands in gold. Bit difficult when they wanted both hands in but we tried to oblige, customer or not.” Below: The Boland Party stand embraced a Wild West theme. JIM CAIRNS, vice president and general manager, Unique Party “Spring Fair is always an important date in the calendar and this year was no different for us at Unique Party. Although the party category wasn’t as big as it has been in previous years, we still had a very successful show and as always enjoyed catching up with customers, old and new!” LUCA SIGNORINI, marketing manager, Grabo Balloons “Nuremberg and Spring Fair were both great shows this year and there was a great selection on show from the manufacturers. Grabo has established itself as the best possible option for retailers and decorators, aiming at high quality and up-to-date trends. Our show-stopper was the 64” numbers balloon which offers the biggest number in the business and helps retailers and decorators thanks to its clever helium-saving structure.” Below: The Grabo Balloon team had two great shows. trend for 2019 in the 50th anniversary year of the moon landings. Displays also focused on the hottest crazes, latest fashion and lifestyle themes including organic décor styles, expressive script designs, themed party tables and Chrome, ombre and pastel colourways. At Spring Fair, the Pioneer Europe team delivered hands-on advice with talented Qualatex instructors offering free balloon demonstrations both at the on-stand Education area and on the Party Stage. We were pleased to see that traditional balloon and party retailers and decorators were joined by new visitors from garden centres, toy stores and hardware stores, many drawn in by the innovative window designs and point of sale ideas on display.” Left: The Pioneer Europe stand was hard to miss, with its stunning décor touching on a number of key themes for 2019. MAGDALENA WOJTECZEK, retail sales manager, Godan “We came back to Nuremberg this year after ten years and our customers welcomed us very warmly. A lot of visitors were interested in products we presented at our booth, so for us the fair was a big success. For us this year’s fair was completely different than the last one we showed at – mainly because our company has progressed so much in the past ten years. We focus on new designs and innovative solutions now, offering our own wide range of our own birthday candle designs, New Year tableware, costumes etc. We received very positive feedback from our customers after the show so we plan to take return again for next year, too.” Above: Godan will be returning to Nuremberg next year. John talks about the highs and lows of being self-employed. ABOVE LEFT AND RIGHT: Being self-employed can be great, but isn't always all it's cracked up to be. What Is BAPIA? The Balloon And Party Industry Alliance, or BAPIA as it’s more commonly known, is designed to work for the party industry to promote the benefits of using industry professionals and to bring significant benefits to our members. BAPIA is a member of the European Balloon and Party Council (EBPC) and keeps members updated on the latest news, including the most recent initiative – the Code Of Best Practice for balloon retailers and professionals. You can read more about this in BAPIA’s latest quarterly newsletter. Mailed directly to members, John is happy to send a copy of the latest edition to interested parties – simply email him at info@bapiaonline.com. that a large company has to bear, such as sick pay and annual leave. However, there is a flip side to everything and self-employment is no different. Unlike an employee, you have no guarantees of work or payment; you have no idea when the next job will come along or how much you will earn from it. It takes a great deal of self-motivation to keep your business going and growing. There are many self-employed and small business’ out there who thought they need just to find a shop, fill it with products and a till and the money would come rolling in. As we all know, that is not how it works. The self-employed also have to be masters of all aspects of their business, from sales and marketing to accountancy and administration. These are the areas where costs are often forgotten when working out those all-important profit margins. My first venture in the balloon industry was selling balloons at events, fetes and fairs and if I am honest I was unsure that working with balloons was for me. However, when I visited various wholesalers, I realised that there were many opportunities and the potential for so much more. It was then that I realised that this was an industry that I could really enjoy and that was the start of my ballooning career – 28 years ago. For me, the key factor in becoming self-employed is to do something that you enjoy and get pleasure from being involved with. I can honestly say that during my time working in the balloon and party industry I have met many people who own a balloon business and I genuinely believe that they have been some of the most enthusiastic I have met. I suppose we are lucky to have a job which allows us to be creative and where we make people smile. As the saying goes: “Do what you love and you’ll love what you do!” You all deserve the greatest respect and I wish you all continued success with your business. A US manufacturer, Pioneer first began life more than 100 years ago as the Pioneer Rubber Company, manufacturing various rubber products including latex gloves and balloons. In 1979, the balloon part of the business was acquired by Ted and Betty Vlamis, who still own the company today. Pioneer currently has manufacturing facilities in six North American locations and subsidiaries at five locations worldwide: Canada, Australia, Brazil, Mexico and Pioneer Europe based in Bishop’s Stortford, UK. Above: (l-r) Betty Vlamis, Sue Pettit from Time 2 Celebrate, Kevin Thain (retail development manager), Michelle Pettit from Time 2 Celebrate and Ted A Vlamis at Spring Fair 2019. Right: Decor themes and recipies are made available online to inspire customers. A hotbed of creativity and innovation, Pioneer Europe has been through a number of key changes over the past few years. Progressive Party Europe spoke to head of marketing Julie Dommett to find out more about Qualatex balloons, Pioneer Party and the importance of inspiration. Above left: Qualatex is known for its fully co-ordinated balloon ranges with a number of designs and styles – the space range is a key theme for 2019. Left: Julie Dommett, head of marketing, Pioneer Europe. Qualatex is the premium brand of balloons manufactured by Pioneer Balloon Company. The Qualatex brand philosophy revolves around the four core values of quality, innovation, education and service. The brand, which was first registered in 1935, is positioned worldwide as The Very Best Balloons. “Pioneer Party was a great addition three years ago, and it continues to grow,” she continued. 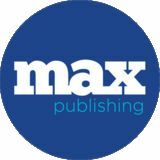 “Last year we expanded our offering to include new on-trend ranges and premium licensed ranges, which were developed with the independent retailer particularly in mind. This year we have added more fashion designs as well as a new eco-friendly party option which was particularly well received at Spring Fair, as we all become more focused on offering the most environmentallyfriendly options available.” Sustainability and responsible manufacturing are at the forefront of many industries at the moment and the party and balloon industries are no different. How is Pioneer addressing the issue of single-use plastics and other environmental concerns? Right: The chrome range was introduced last year and was a hugely popular addition to the portfolio. Above left: Fresh on-trend designs featuring fashionable motifs are released every quarter. Above: Workshops and tours include tutorials featuring clever designs and creative twisting. Left: The Qualatex website continues to be a fabulous resource, hosting a full library of designs, recipes and marketing materials. programme is performing extremely well and through our education programmes we are helping customers of all kinds focus on developing both balloon and retail skills, such as visual merchandising and promotion – all of which combined will help them create a viable, enduring business.” She continued; “Online, one of the bigger challenges is ensuring customers receive genuine goods, so we do encourage customers to support brands that invest in research and development, have stringent safety and quality standards and actively support their business. We welcome recent moves by some of the larger retailers to crack down on fakes and IP infringements.” With so much already going on at Pioneer, what plans are in place for the coming months? “The next few months will see some beautiful new product releases for Q2 and Q3 coming through, as well as a host of new seasonal lines for Halloween, Christmas and New Year. And there are also some really big movie releases, including Frozen 2, coming out this year, so we have some great product lined up to support those!” And of course, with its continued focus on both education and innovation, retailers and balloon artists know that they can continue to trust Qualatex to deliver across the board for the rest of 2019 and beyond. Right: These pastel supersized numbers from Folat have been hugely popular. Thanks to some clever styling, a fresh range of colour palettes and some truly outstanding new designs, the consumer love affair with balloons is continuing and they remain one of the big décor trends of recent years. PPE takes a look at the latest trends to take hold in the balloon world. s one of the cornerstones of the party industry, balloons are currently having something of a moment. Whether it’s for a baby shower, wedding or birthday party, the party classics are being used for everything from backdrops to statement walls and dramatic centrepieces, and there’s a whole world of possibilities out there for the creative balloon artist. It’s vital that balloon artists and buyers are able to stay on top of the designs their customers will be asking for and while the internet is a valuable resource for anyone looking for inspiration, there’s nothing quite as satisfying as seeing the new designs and techniques first-hand. Spielwarenmesse Toy Fair and Birmingham’s Spring Fair both allowed balloon suppliers to showcase their latest creations and inspire visitors with their dramatic stand décor. The key balloon trends of the last few years – script balloons, organic designs, metallic colours (spearheaded by Qualatex Chrome) glitter and confetti – were still very much in evidence, with new trends for 2019 primarily building on these. A special mention has to go to Amscan with its Clearz which have a self-sealing valve and the Ombre Orbz which look undeniably stunning. The sentiment is echoed by Amscan’s marketing executive Charlotte Terry, Above right: The Birthday pastel ombre and stars design from Qualatex is just one of the many new designs released to the market in 2019. Right: Unicolour confetti balloons are a new line from ITI (UK). who said that; “The reaction to our new Clearz balloons has been phenomenal! There are endless decorating possibilities and we can’t wait to see what our customers can achieve with them.” The different colour options add an extra element of interest as the balloons can be adapted to suit different occasions and look stunning on their own or accessorised. “The new Ombre Orbz are also proving highly popular,” she continued, “with the seven different colour choices each adding a vibrant pop of colour to complement the existing range.” Other exciting new additions to Amscan’s portfolio include Satin Luxe foils in pastel tones as well as graphite, greige and navy, all available as circles, hearts and star shapes. New irridescent circles and stars have also been a popular addition, adding vibrant new colours to the mix. Amscan also offers the Sempertex collection, which is also carrying some great new lines for 2019, including pastel matte and neon colours in a variety of sizes and shapes, perfect for creative décor solutions. As the UK distributor for Latex Occidental, the world’s largest latex balloon manufacturer, ITI (UK) has seen plenty of innovation in the last two years. Above: A beautiful bouquet from Amscan, using irridescent foil shapes, an ombre Orbz and unicorn SuperShape. “It’s fair to say that we were a bit of a sleeping giant,” said sales and marketing director Brendan Fahy. “In the last two years we have woken up and since then there has been a flow of new and innovative products.” Initially the company introduced a range of balloon arch kits, starting with baby shower and expanding into wedding, birthday, Halloween, communion and confirmation. Last year this was followed with an amazing Rainbow Kit and so far 2019 has brought in an Octopus and a Flower Kit. Above: The new Clearz from Amscan come in a range of different transparent tints. Now the floodgates have been opened and the new ranges are continuing to come thick and fast, with the popular range of 36” pre-filled Confetti Tassel Kits being extended this year with 30” single pearlized and metallic colours. “We were the first to introduce bicolour balloons,” said Brendan, “and later this spring we will be launching a bicolour balloon pre-filled with matching confetti, which is expected to do really well. At the NEC we launched our ‘macaroon’ colour range, which will be in stock in both 12” and 24” by the end of April. And this is all just the beginning!” Continually pushing the innovation agenda, Qualatex has also been extremely busy over the last few years. The revolutionary Chrome latex range launched in 2018 had a huge impact across the industry, so co-ordinating foils (in heart, round and star shapes) Below: Folat has introduced several new 18” foil balloons in a number of different designs. Right: Launched last year, the Qualatex Chrome range introduced something completely different into the industry and has been incredibly well-received by balloon professionals and consumers alike. In 2019 co-ordinating foil balloons were added to the range. Far right: These 17” round latex balloons are new from CTI Balloons and available in seven colours including clear. Right: The Simply Trendy range from Qualatex is a perfect fusion of on-trend scripts and pop-culture expressions that delivers just the right message, allowing customers to make a stylish statement. were added to the range in 2019. “The incorporation of Chrome colourways into large scale organic décor has captured public imagination across the globe,” said Pioneer Europe’s head of marketing Julie Dommett. “Pioneers of this art-form (such as Chris Adamo and Tina Giunta from Australia) are social media heroes!” Julie continued; “There are some beautiful balloon trends that are becoming popular all over the world. We are increasingly seeing that trends that appear in the world of fashion and lifestyle are quickly reflected in how consumers wish to decorate their own events and celebrate milestone occasions.” Demand for the Qualatex Bubble balloon also continues to grow, with both printed and plain Deco Bubbles being hugely in demand this year. “The trend for creating unique innovative stuffed decos has captured the public’s imagination – and we continue to see growth in their use across both décor and retail purchases,” revealed Julie. “While script balloons, pioneered by Northstar, are increasingly being combined with beautiful organic backdrops to create an instant style statement.” In addition to these décor-focused collections, Qualatex also uses clever expressions and on-trend fonts to ensure everyday ranges stay relevant – whether for milestone occasions or just as fun, pick-up impulse purchases. “We always encourage retailers to show what they want to sell,” Julie continued, “keeping their displays fresh and on-trend to capture consumer attention. The diversity and versatility of our new ranges includes completely new design styles for the season.” In direct response to retailer demand, Qualatex has also introduced a range of our best-selling designs in smaller sizes too, offering additional sales opportunities for till point promotions and add-on gifting. These increasingly inventive ways of using balloons continue to make them a desirable addition to many modern events, either as a décor option or as an add-on gift in their own right. With hundreds of new designs and products on the market this year alone, there’s no shortage of inspration out there. The only limit is your imagination. Thanks to a number of high-profile environmental campaigns, consumer awareness of the need to reduce waste has grown dramatically over the last few years. With all single-use plastics coming under scrutiny, the party industry has reacted quickly, ensuring that eco-friendly alternatives are on offer. PPE takes a look at how party is putting the planet first. Inset: The balloon and party industry has been pushing the ‘Don’t let go’ message for some time as it steers consumers away from balloon releases. EBPC Code Of Best Practise The EBPC Code of Best Practice has been devised to protect consumers and help them respect the environment. Environmental guidelines include: TOnly sell helium-filled balloons with ribbon and weight attached. TAdvise consumers to never release balloons into the atmosphere. TWhen you’re done – cut the end of the balloon and place in the bin. damage it’s causing to the environment is worth a few minor inconveniences. While there have been a number of dedicated groups campaigning to raise awareness of the issue for some time, mainstream media has finally taken the message on board. This is partly due to recent legislation (such the proposed EU single-use plastic directive, plastic bag charges and last year’s UK ban on products containing microbeads) and partly due to programmes such as the BBC’s Blue Planet, which can take at least some of the credit for bringing ecoawareness to a whole new audience. Initially, the focus was centred on some of the more obvious culprits; plastic carrier bags, disposable coffee cups and excessive food packaging – but it didn’t take long before the movement extended its reach. Plastic straws have come under fire following a number of wildliferelated incidents, were debated in parliament last year and are banned in a plethora of bar and restaurant chains, while balloons have also taken their fair share of flack. Even global charity Comic Relief came under fire for using balloons as part of its fundraising pack earlier this year. Above left: Pioneer Party’s new compostable tablware offering is available in a number of different designs. Above right: The new biodegradable packaging from ITI (UK) was launched at Spring Fair 2019. Right: The updated version of EBPC’s best practice programme has been re-designed by EBPC members with the aim of delivering clear guidance to consumers and raising a positive profile for the industry. Inset: More than 60 UK festivals have banned glitter from their sites as part of an eco-pledge. “We believe sustainability is an important issue and I think most responsible suppliers are making the necessary changes – however, it is not without its issues. I know from recent experience that some consumers have told retailers they are not buying latex balloons anymore because they are plastic. When the retailer has explained they are in fact made from latex and have a lot of environmental pluses, they keep the customer. But that does not inform those consumers who do not go into their local party shop as they are misinformed. That is a much bigger problem!” Mark Brett, UK agent, Boland Party for Balloons (see breakout), which promotes the responsible, safe and fun use of balloons. “We do not support releases and we actively urge all Qualatex customers not to endorse or undertake balloon releases either,” said Julie Dommet, head of marketing. “Our message to consumers is ‘Don’t let go!’ as we all wish to protect the environment from any unnecessary litter.” Pioneer worked in partnership with other members of the EBPC to produce a set of materials for retailers and decorators alike, spreading the message to consumers across the UK and Europe (there are translated versions in an array of languages) that balloons should be used and disposed of responsibly. “We all know it is difficult to have a conversation with a customer who has set their heart on undertaking a balloon release, particularly if it is part of a memorial service,” Julie admitted. “But I believe it’s really important that we show as an industry that we can make significant positive steps without external bodies mandating us to do so, choosing to spread the word on best balloon practice with all our customers at every opportunity.” Pioneer has applied this ethos across other areas of its business, including its Below: Grabo’s new eco-straws are fully biodegradable. Grabo has taken its environmental credentials to another level and is using the power of the sun to help it cut down on the use of nonrenewable energy sources. “We love balloons but most of all we love the enviroment and we decided to use the sun to help us produce Grabo ballons,” said chief engineer Simone Imola. “We want to pave the way for the future and are pleased to be the first company in the party sector to introduce this alternative approach. By the end of 2019 all Grabo buildings will be powered this way and we hope to further improve our enviromentally-friendly position the following year as well.” Below: Grabo’s chief engineer Simone Imola with the company’s new solar panels. Above: The new wig packaging from Bristol Novelty is entirely plastic-free and recyclable. Right: The classic globe Qualatex Bubble balloon. only a small step forward, it is a positive one for the industry,” said Fran. “We are proud that our new boxes will actually be doing some good for the planet.” As technology progresses, so does our ability to reduce waste. While we all have a responsibility to protect the environment, we also have a responsibility to protect our industry. It is only by adapting to new situations and meeting market demands that we will be able to continue to provide the party products and services that bring enjoyment to so many people. Right: Recyclable shipping boxes are a good first step in what can be a time-consuming and expensive process. over the past 12 months,” said director Lewis Ames. “As a result we’ve launched a new range of Mystic Bio glitter for the 2019 festival season.” Moon Creations is also launching a new peel-off glitter fix gel for the upcoming festival and summer season. Instead of washing glitter off in the sink it can be removed like a peel-off face mask – eliminating glitter unnecessarily entering the waste water system. “We hope to further develop and eventually replace all of our ranges with bio alternatives,” continued Lewis. “Although the technology isn’t quite there yet.” Moon Creations is also committed to reducing its environmental impact through the reduction of unnecessary non-recyclable plastic packaging. Bulk packaging is now corrugated cardboard, with fully recyclable new PET clamshells. Left: Moon Creations has launched a range of biodegradable glitter for the 2019 festival season. Children’s Parties Below: Children’s parties mean year-round sales. The Right Price “In our new party and events range we offer some very playful generic options which are perfect for children’s parties. For certain age groups who are not brand or license-focused the generic range of partyware still holds strong, providing an alternative theme without the commercialism or price tag which can often be associated with them.” Fran Hales, marketing manager, Bristol Novelty So how can retailers make the most of these golden opportunities to upsell? Creative Party’s Shayna Bowles agrees that children’s parties are bigger and better than ever, pointing out that; “Parents look to create a memorable, unique experience for their little ones as well as their adult guests. First birthday parties are becoming increasingly popular, with many seizing the opportunity to celebrate the milestones of their baby’s first year.” Creative Party’s new 1st Birthday Bear and 1st Birthday Bunny ranges, featuring sweet bunny and bear characters and soft hues, are both trending for 2019. Lunch plates in the shape of a flower-crown adorning bunny and smiley lovable bear are top-sellers, with personalisable banners and coordinated high-chair decorating sets favourites among these first birthday collections. As a company, Creative Party has always focused on its biggest strength; bringing on-trend, non-licensed children’s partyware themes to the marketplace. “We offer strong everyday and early release programmes to ensure our customers can keep their offerings fresh,” Shayna continued. “We combine strength in the classics – such as pirates and dinosaurs – with complementary on-trend ranges featuring the latest fashion characters. We try to be ‘sku savvy’ as we know space can be an issue, so we offer lots of generic ranges like Birthday Bunny or Jungle Safari that can cover a number of different occasions such as baby shower, first birthday and preschool birthdays, perfect for cross-merchandising and up-selling and maximising any potential selling opportunities.” Meanwhile, licensed ranges are a key part of Amscan’s children’s party offering. As well as the classics, recently added licences include favourite toy brand Nerf with a range of coordinating partyware and balloons, as well as Enchantimals, LEGO Movie 2, Nella the Princess Knight, Rusty Rivets and Ugly Dolls. Children’s parties are a safe bet for most party shops, with balloons, décor, partyware and costumes often all coming into play in one big highoctane, migrane-inducing event. So whether your customer is lovingly decorating the local community centre or doing a hands-off job at the local soft play, you’ll want to be able to offer them something a bit special. PPE takes a look at the latest trends. Left: Folat’s Rainbow Dots line is a hugely successful range of partyware, décor and balloons, offering an on-trend style in a gender-neutral, fun design in ages 1 to 10. “In terms of our licensed partyware, Paw Patrol remains a top seller,” says marketing executive Charlotte Terry, “while both Pokémon ranges include co-ordinating foil balloons. There is also high demand for our L.O.L Surprise balloons which includes five different formats, from air-filled mini shapes to a complete bouquet.” Whether the party follows a licensed theme or a more a classic design, party retailers who offer a varied mix of licensed, generic and plain colour partyware will be perfectly placed to celebrate childrens’ birthdays all year round. The new party and events range from Bristol Novelty offers a number of generic partyware options which are perfect for children’s parties, particularly the younger age groups who are not yet character-focused. This 1st Birthday Bunny range from Creative Party is a complete party collection featuring sweet bunnies and flowers, although plenty of non-birthday options make it ideal for baby showers too. This range of skin safe, water-based make-up kits from Smiffys is perfect for themed children’s birthday parties. The range includes animal instant kits with face paints, applicators, headbands and other accessories, in a number of different options. This fun new Blast Off range from Amscan features rocket shaped plates and is perfect for anyone lokoing for an outer space adventure. Pirates are always a popular generic choice for young children’s party themes and Henbrandt has a huge array of pirate goodies, from masks and photo props to costumes and party bag fillers. Evergreen mix and match options are ideal to use with solid colour tableware and DIY party decorations, like these from Unique Party which create the wow factor with a pop of colour! Godan offers a range of popular animal and super hero capes for its smallest customers. Felt masks match the fun capes, making these sets one of the company’s bestselling products. A colourful line-up of party products and a friendly quartet of jungle friends make this new Jungle Safari range from Creative Party an ideal option for a child’s party. Unicorns are everywhere and CTI Balloons are no different. These airfilled mini shapes can be supplied either flat or inflated on a cup and stick. Perfect for party bags. Amscan’s colourful Paw Patrol partyware and décor collection is a strong range featuring the core characters in a unisex design, perfect for all preschool parties. The birthday bunny range from Creative Party includes shaped plates, personalisable banners and coordinating high chair decorating sets, making them a popular first birthday collection. Festival Fancy Dress Left: The fancy dress and costumes are as essential to the Bestival spirit as the music. Food and drink costumes remain popular choices at festivals and summer events and offer a great way to stand out. Amscan’s range includes the classic banana and hot dog styles as well as more recent additions such as a taco, pizza and bacon! Joining in with this visual feast, Smiffys has created a range of fun fruit and vegetable costumes and accessories, including on-trend avocado tabards and pineapple glitter glasses – perfect for festivals! AND GRIME The past decade has seen fancy dress costumes and accessories becoming a staple item for festivals and other outdoor summer events. PPE takes a look at the party trends which will be throwing some shapes in a field near you. nce upon a time, packing for a festival was simple; as long as you had your tent, wellies and beer, then everything else was a bonus. These days though, it’s a little more complicated, as eco-glitter, rainbowstriped tutus and full-on homemade robot costumes are lovingly prepared and packed in the run-up to the event. Festivals have always been a place for people to let go and enjoy themselves, and festivals like Bestival and T in the Park have been theming their event each year, with fancy dress parades and competitions to encourage participation. “Novelty costume searches were up roughly 14% last year worldwide, which Below: MorphCostumes mystical Inflatable Unicorn costume is guaranteed to deliver a cosmic experience at any festival. Right: The new Rasta Imposta portable stereo is a great way to channel the true spirit of the 80s. Left and above: A new range of unicorn, rainbow, pineapple and ice cream inflatables from Smiffys is perfect for the upcoming festival season. FESTIVAL FANCY DRESS Godan’s new costumes for the upcoming festival season include this fun vegetable collection for children which has already turned out to be a great success. These fun new animal jackets from Folat are suitable for both children and adults and are available in a number of designs, including lion, cow, tiger and dog. This 80s cassette handbag from Palmer Agencies is a quality retro-look product that will be a great accessory for anyone looking for a fun way to put the finishing touches to their 80s costume. Is it even a festival without a pint or two of beer? Not according to Rasta Imposta; the classic pint is one of its longstanding bestsellers. Widmann offers hundreds of different fancy dress items suitable for festivals, from novelty flamingo hats to flared rainbow skirts. New for the 2019 festival season, Amscan has introduced Stick Man and Stick Woman, based on the classic simple illustrations. The costumes are sold individually but work very well as a couples combination. A new range of hooded unicorn, flamingo and dragon dresses from Smiffys is great for anyone looking for something unique and stylish this year. This Blondie wig and Cowboy foam hat from Palmer Agencies are fantastic stand out products that are the focus of attention and compliments wherever they go. A number of CTI Balloons’ Tropical Airfill Mini Shape ranges, including the Pinata Fiesta, are ideal for festivals and can be supplied either flat or inflated on a cup and stick. Animals in all shapes and sizes are always popular for Folat and this new pug mask is expected to be a big hit for 2019. In time for the 2019 carnival and festival season, Splashes & Spills has released a new range of chunky glitters in iridescent, holographic and UV varieties. All products are animal cruelty free, kind to skin and easy-on easy-off. Perfect for selfies, Mask-arade’s unique Party Faces range of photo booth and selfie accessories are the next big thing. Already huge on social media, there are twelve themed Party Faces packs to choose from. Henbrandt’s comedy costumes have always sold well throughout the year and lines such as this mobile phone have been becoming increasingly popular for summer festivals. Bristol Novelty has launched a new 80s accessories range to fit alongside its already popular 70s and 60s lines. Progressive Party rounds up the latest licensed releases. As the final season of Game of Thrones begins, Palmer Agencies expects these licensed masks (from Trick or Treat Studios) to be extremely popular. The great quality masks feature legendary characters including the Night King, the Hound, White Walkers and various dragons. All masks are now all available for pre-order, with delivery before the final season begins in mid-April. One of the most highly anticipated properties of 2019 will be Aladdin, thanks to Disney’s upcoming live film release which is due to hit UK cinemas in May 2019. The new Princess Jasmine Bubble balloon from Qualatex will be available through Pioneer Europe very soon and is predicted to be extremely popular as the film gives classic Disney Aladdin a boost. Creative Party is delighted to announce a new licensed range for 2019 as Peter Rabbit joins the company’s line-up of much loved traditional British licences. The range focuses on Beatrix Potter’s original lovable characters that have charmed and enchanted for generations. Lines include a cookie cutter set, cupcake cases, and cello bags for gifting and party bags. Celebrating the hugely popular LEGO Movie 2 is Amscan’s new range of partyware and balloons featuring Emmet, Lucy, Batman and the rest of their friends from the recent movie. The collection includes partyware such as plates, cups, napkins and invitations as well as decorations and foil balloons. All are available now and are a must for LEGO fans! Brand new Marvel table tops from Star Cutouts focus on both the Marvel Infinity War and Ms Marvel movies. Captain Marvel will enthuse fans looking to complete their collection of all the Avengers Infinity War cardboard cutouts, while Ms Marvel, Captain America, Thanos, Loki, Iron Man, Spiderman, Thor and of course the Hulk are also hugely popular. The range of Christmas-themed OppoSuits has been extended with a number of new licensed additions including the Winter Pac-Man and the Merry Mario. But that’s not all, as for die-fans of computer cartoon characters, the new Super Mario suit is absolutely perfect and is expected to be a top choice for carnivals and festivals throughout the year. ■ Sweet Selection Globos has baked a new mix of colours for its fantastic new Macaroon Sweet Colour Balloon section. Available in five fabulous new colours of Grape, Mint, Strawberry, Vanilla and Blueberry, this is a really tasty selection from the balloon experts. Sizes are 12” and 24” and the balloons come in bags of 100 or in an assorted mix in a retail packet. Looking for something a bit different? Then it’s time for an international shopping spree! The latest Suitmeister range from OppoSuits lets wearers get down to funky town with the new Sunny Yellow Cactus or Retro Blue 90s Icons styles, available both as full length suits and summer suits. Those lovers of Pride can now indulge in a Rainbow summer suit, or if US patriotism is more your thing, then the new USA Flag in the summer style shouldn’t be missed. Looking towards the summer season, Folat has combined two of the hottest trends on the party scene for one of its new releases this year. The on-trend rainbow colour and fashionable twoway sequins have been bought together in a tiara, mask and tie, which can be worn separately as a nod to the trend or combined together to get the full fabulous technicolour look! Just in time for the festival season are these colourful tasselled bolero jackets from Folat. Available in either neon green or neon pink, they work perfectly for summertime fun or 80s nights. Folat also has a wide range of neon accessories, including a range of new colorful hair extensions, available in pink, yellow, blue/ purple, red and green. Hawaiian ranges are always popular in the summertime and this fresh new collection from Widmann is expected to be a bestseller for the coming season. A wide selection of summertime dress-up and accessory lines includes the classic flowered garlands, grass skirts and floral headdresses, as well as the more unusual lines such as flowered bra tops. ■ Feeling Fruity As dedicated party fans, Godan is always releasing new lines for its smallest party-goers, with brand new designs and fresh looks being released each year. This great new collection of fruity fancy dress is ideal for children looking for something a bit different and will be a great addition to and dressing-up box. Also ideal for school plays and theatre productions. These new Hen Party accessories from Smiffys are exactly what all the bridesto-be will be looking for in 2019! The new range of rose gold, glitter and blush pink hen party essentials includes sashes, rosettes and headbands with veils, with finishing touches including marble and gold gift bags and pin badges. The inflatable diamond ring is an essential for those hen party pictures! The new product releases from Qualatex for 2019 include a number of Pinterest-ready favourites such as this fantastically elegant 35” Swan. The microfoil shape balloon is ideal for creating stylish wedding decor all year round and it is perfectly on trend, especially when paired with the Elegant Greenery deco Bubble, also by Qualatex and available from Pioneer Europe. Glitz and Glam A new range of sparkling fizz banners and bunting from Oaktree UK have been making quite a splash. There are two sets; the black and gold holographic and the rose gold and white holographic which are becoming classics in the industry. Both cover the major birthdays and a general Happy Birthday occasions. Both ranges of the banners and bunting have accompanying balloon ranges. Do Disco Get in the mood for a party with the new Disco Dude suit from OppoSuits or hit the streets of Pride with the new Wild Rainbow, available both as a full suit and a summer suit for those who want to let their hair down. OppoSuits has also expanded its range of solid coloured styles to include some not-so-common colours like Lush Blush and Magic Mint, while Aloha Hero, Abstractive and Mighty ‘Murica are new summer suit additions. Hair-raising Fun The new wig packaging from Bristol Novelty has been created with sustainability in mind by removing plastic bags and replacing them with recyclable card outer boxes. The packs proudly display the Earth Friendly icon and although it’s only a small step forward, it is a positive one for the industry. Bristol Novelty is proud that our new boxes don’t just look good in-store but will actually be doing some good for the planet. Satin Luxe It’s the perfect time of year for pastel tones and Amscan has recently added new pastel coloured Satin Luxe balloons by Anagram to their offering. Already popular with decorators looking for the next big thing, new shades for the summer season include Mint Green, Pastel Blue, Pastel Pink, Pastel Lilac and Pastel Yellow which add a stylish touch to any occasion. Halloween, Party and Haunt together under one roof. Get your ﬁrst look at 1000’s of new products being released for the 2020 season and take advantage of exclusive show specials and discounts – only oﬀered during the show – designed to help your budget go further. Now co-located with HAuNTcon, providing you even more opportunity to diversify your merchandise and ﬁnd unique and one-of-a-kind masks, props, décor and more!